The Federal Highway Administration will promote 10 technologies and practices in the fifth 2-year round of Every Day Counts (EDC-5), the State-based program to rapidly deploy proven but underused innovations to shorten project delivery and enhance the transportation system. 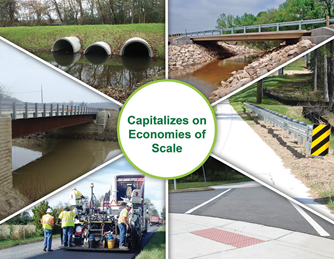 Among the EDC-5 innovations transportation stakeholders are encouraged to explore in 2019 and 2020 are strategies to reduce rural roadway departures, project bundling to pare construction backlogs, and techniques that use crowdsourcing to advance operations. In September, CAI is offering introductory webinars on the EDC-5 innovations. Visit the EDC-5 orientation webinars page for dates and times. In October and November, transportation leaders and stakeholders will gather at regional summits to learn about the EDC-5 innovations, exchange ideas with counterparts in other States, and provide feedback to FHWA on the support and resources they need to adopt the innovations. Summits are scheduled for Baltimore, MD; Albany, NY; St. Louis, MO; Portland, OR; and Orlando, FL. After the summits, State Transportation Innovation Councils (STICs) will review the EDC-5 innovations being promoted and decide which fit the needs of the agencies and highway programs in their State. Starting in January 2019, EDC-5 deployment teams will provide technical assistance, training, and resources to help transportation agencies and stakeholders adopt the innovations. FHWA will also offer deployment assistance and incentives through its STIC Incentive and Accelerated Innovation Deployment Demonstration programs. While the countdown to EDC-5 is underway, efforts to support deployment of the EDC-4 innovations will continue until the end of December 2018. Learn all about the EDC-5 innovations and their impacts by registering for the orientation webinars. Reserve your space and mark your calendar for webinars starting in September. Tools promoted in the Collaborative Hydraulics: Advancing to the Next Generation of Engineering (CHANGE) initiative provide a more comprehensive understanding of complex flow patterns at river crossings than traditional modeling techniques. 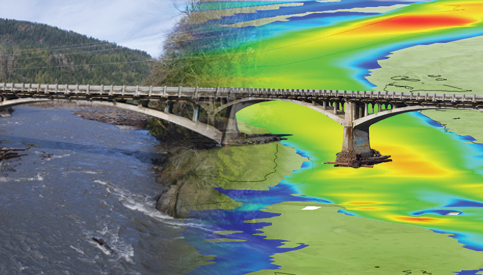 These hydraulic modeling and computer visualization technologies also facilitate better communication and collaboration, improving agencies’ ability to design safer, more cost-effective, and more resilient structures on waterways. Bundling similar projects can produce cost savings due to economies of scale. Repeatable details and similar designs can save both design and construction time, and bundling multiple projects can lower the unit cost of materials. As the number of highways and bridges needing attention continues to climb, structures posted for reduced loads adversely affect travel, freight movement, and emergency response times. By using project bundling to award a single contract for several similar preservation, rehabilitation, or replacement projects, agencies can streamline design and construction, cut costs, and decrease project backlogs. Real-time, crowdsourced data from motorists supports operations by expediting notification of events such as crashes and unexpected congestion. Using crowdsourcing to advance operations provides large amounts of reliable, real-time data with more geographic coverage of the transportation system than conventional sources, such as fixed sensors and cameras. Combining crowdsourced data with traditional data sources enables better operation of the transportation system through faster detection of and response to problems, more accurate traveler information, and more effective operations strategies. 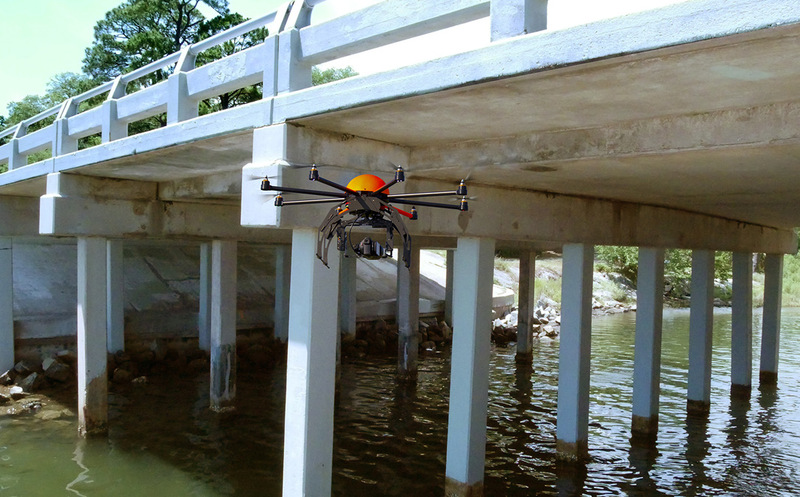 UAS can support traditional bridge inspection practices to provide rapid, high-quality data. Unmanned aerial systems can benefit nearly all aspects of highway transportation—from inspection to construction to operations—by collecting high-quality data automatically or remotely. These relatively low-cost devices allow agencies to expedite the data collection needed for better decision making while reducing the adverse impacts of temporary work zones on workers and travelers. Crosswalk visibility enhancements such as high-visibility markings and in-street signs help make crosswalks and pedestrians more visible. Pedestrian fatalities account for 16 percent of roadway fatalities, and pedestrian crashes occur predominantly at midblock and intersection crossing locations. 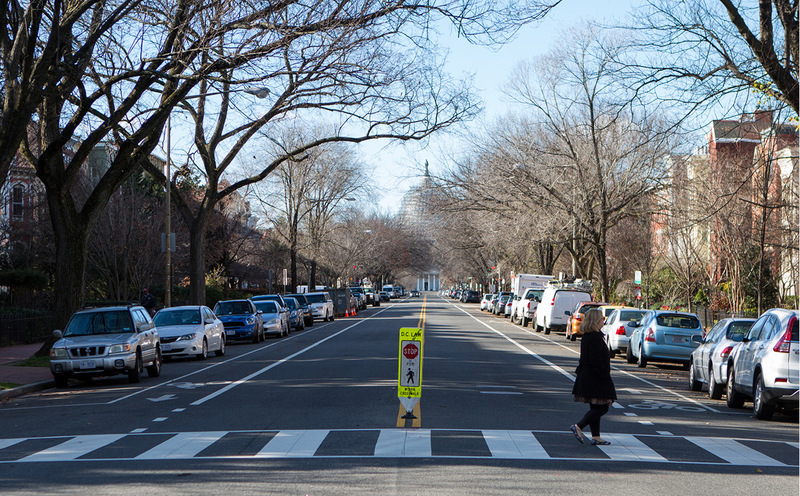 As pedestrian safety continues to be a concern, the cost-effective countermeasures in the Safe Transportation for Every Pedestrian (STEP) initiative can help provide safer crossings. Curves are over-represented in roadway departure crashes and therefore are good locations for systemic improvements. Reducing rural roadway departures is a major challenge in the United States, where roadway departures on the rural road network account for one-third of traffic fatalities. 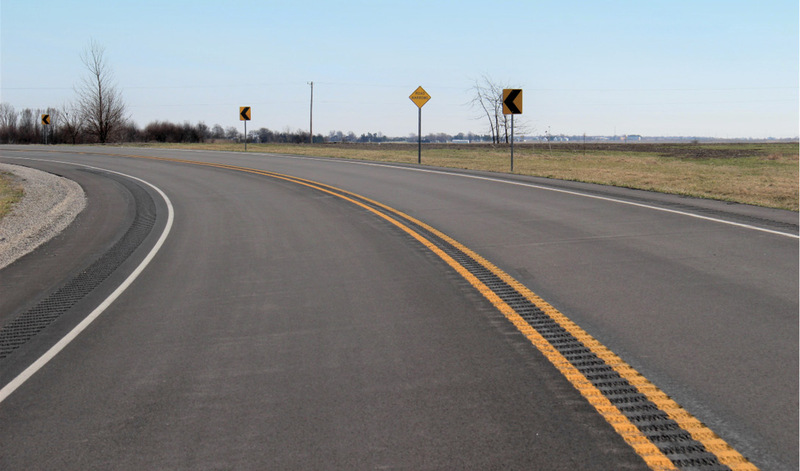 Systemic application of proven countermeasures—such as rumble strips, friction treatments, clear zones, and roadside hardware—helps keep vehicles in their travel lanes, reduce the potential for crashes, and lessen the severity of crashes that do occur. Conventional subsurface exploration methods provide limited data for project design, which can result in constructability issues and increased cost. Advanced geotechnical exploration methods generate more accurate geotechnical characterizations that improve design and construction, leading to shorter project delivery times and reducing the risks associated with limited data on subsurface site conditions. Virtual public involvement tools include online surveys, visualization, and telephone town halls. Robust public engagement during transportation planning and project development can accelerate project delivery by identifying issues early. Virtual public involvement techniques, such as telephone town halls, online meetings, and social media, offer convenient, efficient, and low-cost methods for informing the public, encouraging participation, and receiving input. Traveler information systems can improve safety during adverse weather conditions. More than 20 percent of crashes are weather-related, and weather-associated travel delays can result in significant productivity and efficiency losses. Weather-responsive management strategies support agencies in deploying improved traffic control and traveler information systems that will reduce crashes and delays resulting from adverse weather. The initiative also promotes anti-icing strategies to cut chloride use. 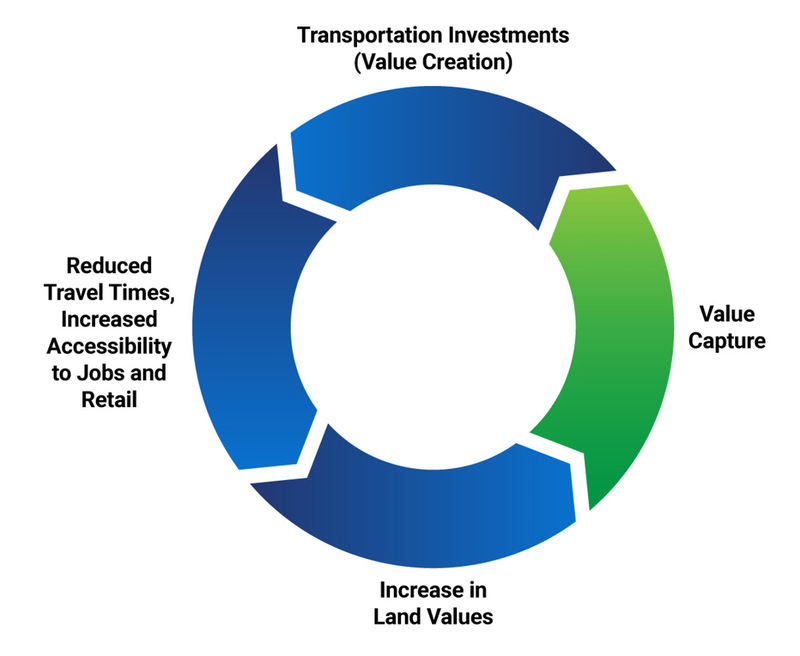 Value capture returns a portion of land value created by transportation to be used for future investments. When agencies invest in transportation assets that improve access and increase opportunity in the community, adjacent property owners benefit through greater land value and other positive economic impacts. Techniques promoted in the Value Capture: Capitalizing on the Value Created by Transportation initiative enable the public sector to share in a portion of this increased land value to reinvest in the transportation system. In Gainesville, FL, a pedestrian bridge is a signature gateway to the Depot Avenue corridor. Credit: City of Gainesville, FL. The EDC-4 community connections initiative offers tools and strategies for developing inclusive, interconnected transportation systems through planning, designing, and managing public spaces that promote people’s health, happiness, and well-being. The focus is on retrofitting, rehabilitation, and removal options that turn aging infrastructure into opportunities for reestablishing community connections and cohesion. The Washington State Department of Transportation (WSDOT) replaced the State Route 520 floating bridge—a four-lane structure built over Lake Washington more than a half century ago—with an even longer, safer, six-lane bridge designed to withstand strong windstorms and waves. The new bridge has a 14-foot-wide path for bicyclists and pedestrians. A bird’s-eye view of the State Route 520 Eastside corridor includes the floating bridge over the lake. Credit: Washington State Department of Transportation. Now that the connection across the lake is complete, the highway rebuild and bicycle-pedestrian trail will continue through two Seattle neighborhoods and Portage Bay to connect to Interstate 5. 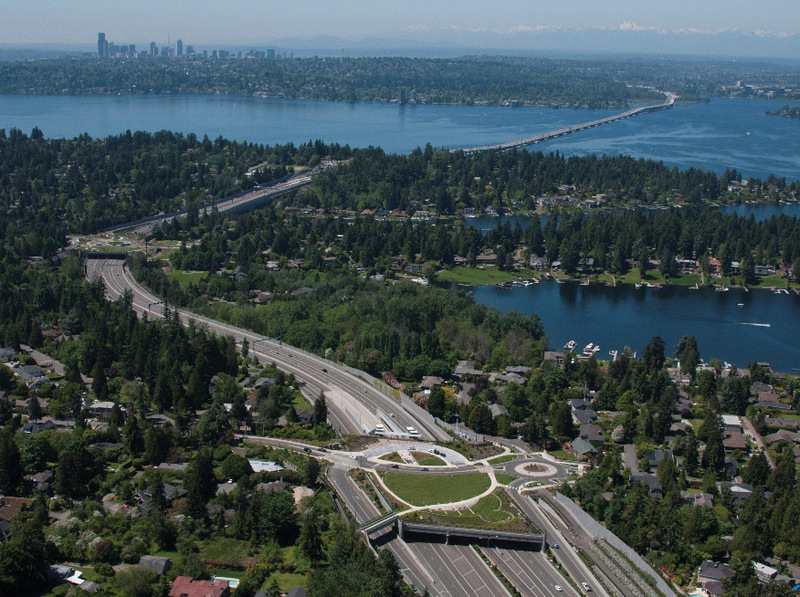 The project includes block-long landscaped lids over the sunken freeway to physically reconnect the neighborhoods of Montlake and Roanoke-Portage Bay. The design will create park space, connect bicycle-pedestrian pathways, and upgrade transit stops. In Gainesville, FL, an updated Depot Avenue corridor now provides a linkage between many neighborhoods, major employment centers, and several parks. The city repaved the road, added bike lanes and landscaping, and removed traffic signals. More than half the country uses community connections in some form. Eleven States and Washington, DC, have institutionalized community connections approaches and another 21 States are developing, demonstrating, or assessing innovative approaches to planning, project development, or design. “The other half of the country is probably working on community connections, but they most likely call it something different, such as livability, complete streets, or context-sensitive solutions,” said Davis. The EDC-4 deployment team has identified 26 community connections tools from planning and public involvement to design and operations. The team is developing a handbook to help State and local agencies understand how and when to use the tools. Set to be released in October, the handbook will also include 16 case studies. Watch the community connections Innovation Spotlight video. Visit the new community connections website. Contact Corbin Davis or Kenneth Petty of the FHWA Office of Planning, Environment, and Realty or Robert Mooney of the FHWA Office of Infrastructure for information and technical assistance. The Maryland Department of Transportation State Highway Administration (MDOT SHA) has taken a big step toward streamlining its construction process by launching an electronic bidding system, part of its deployment of the Every Day Counts round four (EDC-4) e-Construction and partnering (eCP) initiative. When Governor Larry Hogan came into office in 2015, his charge was to make doing business with the State easier and more convenient. The eCP innovation, under the leadership of MDOT SHA Administrator Greg Slater, supports Maryland’s Open for Business initiative. All contracts now go through Maryland’s online bidding and solicitation service that allows contractors to submit paperless bids and get real-time bid results. 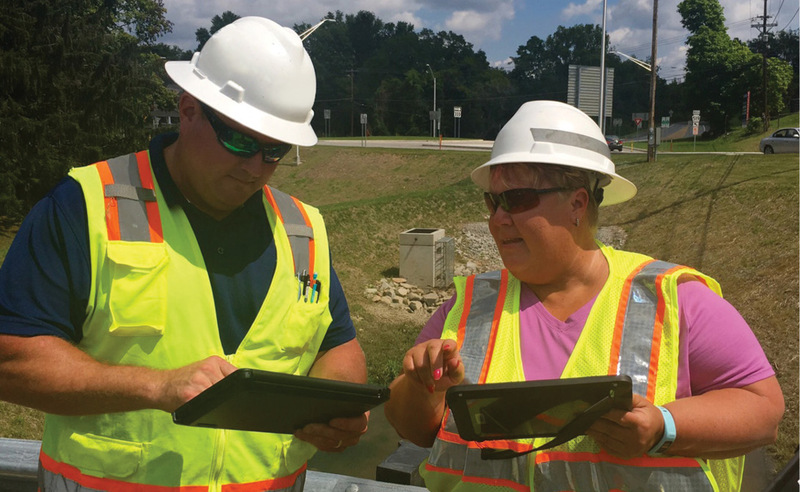 MDOT SHA staff also use mobile tablets to file inspection reports and approvals in the field, and the agency is working toward implementing electronic signatures. The department was able to implement the system sooner than planned by using State Transportation Innovation Council Incentive funds to deploy mobile devices for field inspection. Leadership has played a significant role in the implementation of eCP in Maryland, and support from the MDOT SHA Office of Information Technology was critical to properly assess the resource requirements and compatibility with existing systems. Maryland contractors have also been supportive partners in the implementation of electronic bidding because it translates to quicker decisions and reduces repeated paperwork and related errors. “Leadership support is key in getting the funding and the commitment of staff. They also need buy-in from the users, who are not just the DOT employees, but also the contracting community. The contractors need to be on board with the program for it to be successful,” said Kathryn Weisner, FHWA construction and contract administration engineer and a leader of the EDC-4 deployment team. Maryland is among many States participating in the EDC-4 initiative, which promotes the use of paperless technologies to enhance partnering among stakeholders, improving communication and workflows while streamlining project delivery. Applying technology to support secure, expedited document transmission and distribution is at the heart of eCP and serves as a building block for developing additional resources. 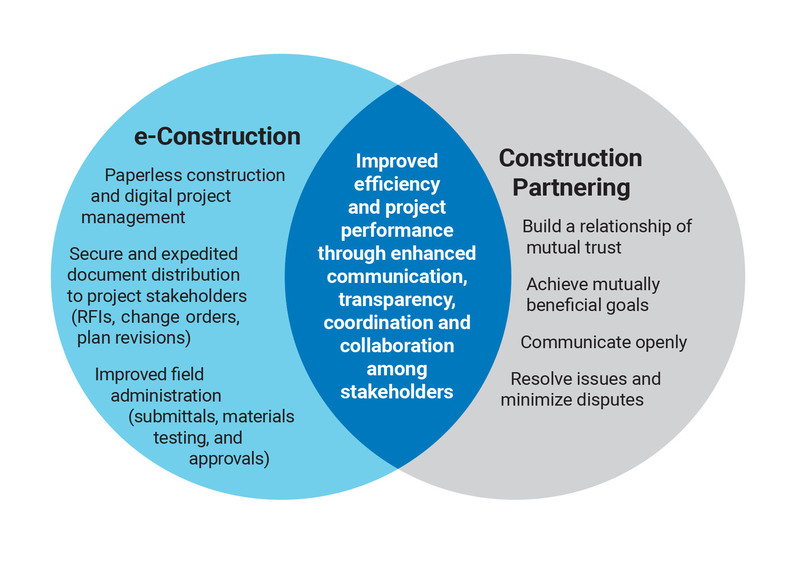 Combining e-Construction and construction partnering increases transparency, saves time, and reduces costs over time. Use of e-Construction is becoming widespread, with nearly every State developing, demonstrating, or assessing e-Construction tools and processes or using them as a standard practice. About two-thirds of the States are developing, demonstrating, or assessing eCP or have made it a standard practice. Combining e-Construction and partnering can enhance collaboration and project delivery. The EDC-4 team hosts webinars and peer exchanges to facilitate relationships between State and local agencies so that they can share successes and minimize obstacles that others may have experienced. FHWA does not endorse specific products or tools, but States are encouraged to share their firsthand experience from a user perspective. “e-Construction does take some significant legwork, and the ability to have State DOT staff who have been there show the return on investment is huge. It can help create that synergy for States that haven’t taken those steps,” said Weisner. View an Innovation Spotlight video on e-Construction and Partnering: A Vision for the Future. See FHWA’s e-Construction and partnering web page for a resource library, videos, and webinar recordings. Contact Chris Schneider of the FHWA Office of Infrastructure or Kathryn Weisner of the FHWA Resource Center for information and technical assistance. Pathfinder and IMO strategies help agencies and travelers handle adverse weather events. Two road weather management—weather-savvy roads strategies—Pathfinder and integrating mobile observations (IMO)—are helping agencies in Colorado, Nevada, and Wyoming manage road systems and inform drivers about road weather conditions that may affect their travel. Pathfinder is a collaborative initiative of the National Weather Service (NWS), State transportation departments, and private weather service providers to share and translate forecasts into consistent public transportation impact statements. IMO is the collection of weather and road condition data from fleets using advanced vehicle-based technologies to provide a comprehensive view of network conditions. 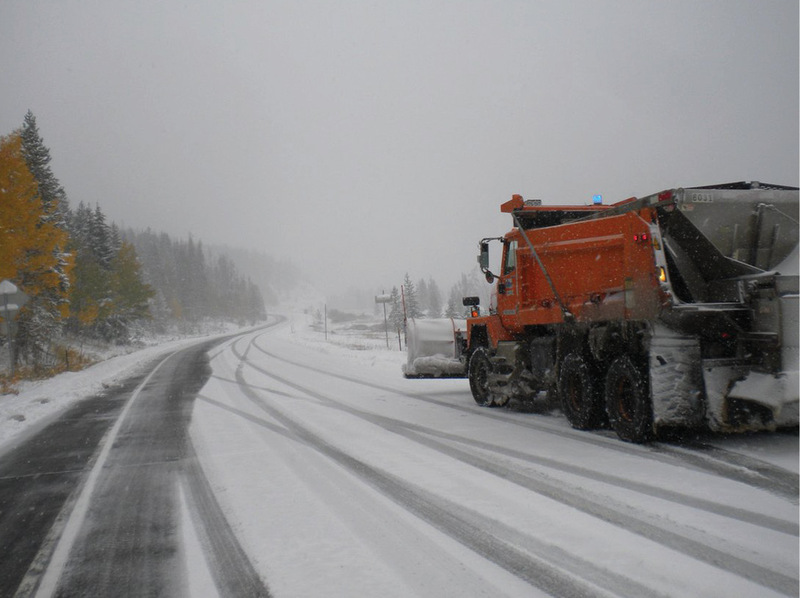 The Colorado Department of Transportation (CDOT) uses a five-step Pathfinder process to proactively manage its response to adverse weather. Before a severe weather event, CDOT, regional NWS forecast offices, the Colorado Avalanche Information Center, and a private weather forecaster prepare a weather and road condition forecast briefing. The partners hold a conference call to discuss the forecast, operational readiness, and consistent, impact-based messages, then develop an implementation plan that includes maintenance and communication strategies. They execute the plan before and during the weather event and, after significant storms, conduct a review to improve future responses to weather events. CDOT reports that the process results in more focused and efficient storm treatment strategies, more effective traffic management approaches, and better communication to drivers on weather impacts. 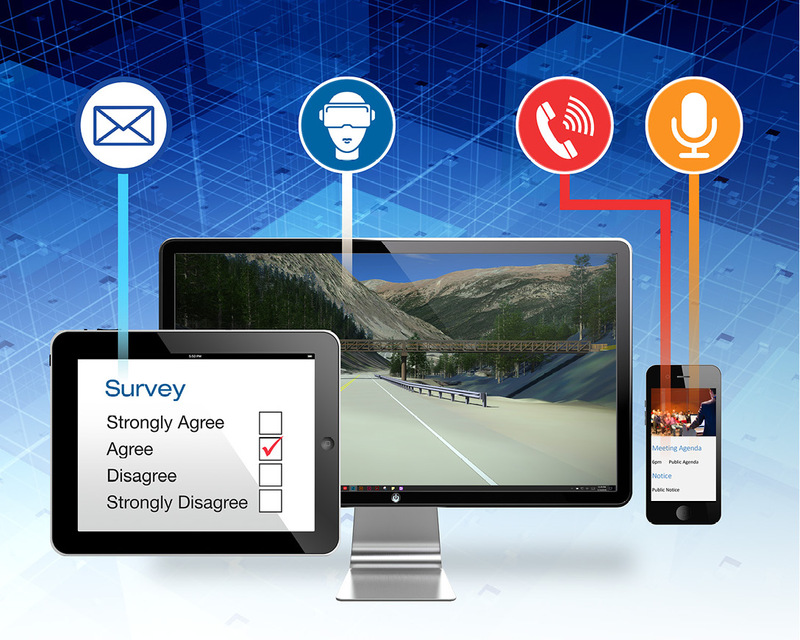 A survey of maintenance managers also found that the majority believe Pathfinder increased communication and collaboration during storm events. For more information, read the Colorado Pathfinder case study or contact Lisa Streisfeld or David Johnson of CDOT. IMO deployment is enabling the Nevada Department of Transportation (NDOT) to harness information from its vehicle fleet on weather and road conditions. 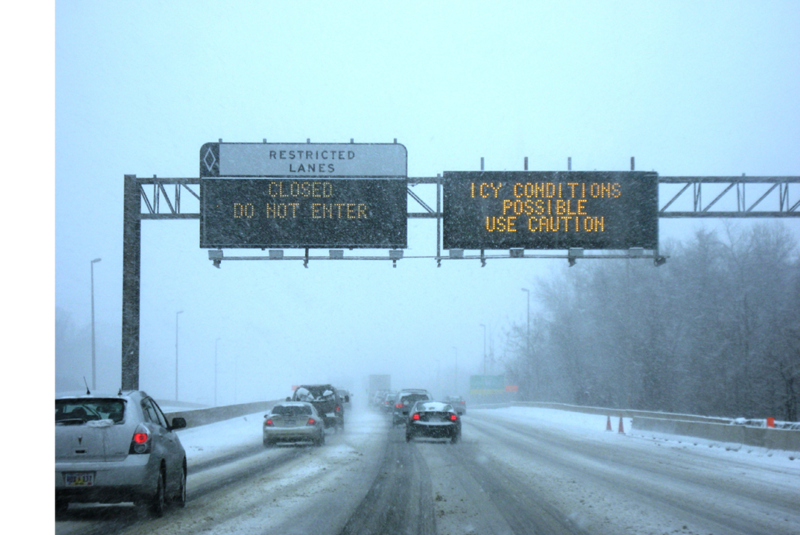 The data improves awareness of real-time road conditions, resulting in enhanced safety, reliability, and mobility during winter weather events. The cost and limitations of wireless communication services create challenges for mobile fleets in sending and receiving data, so NDOT implemented a hybrid approach to transmit data using radio, cellular, Wi-Fi, and dedicated short-range communications (DSRC). Each fleet vehicle automatically switches to the best available technology mode depending on its location, with DSRC transmission prioritized and used whenever possible because of cost and speed. Hybrid technologies reduce cost, leverage existing connections, and improve IMO data access to NDOT’s Traffic Management Center. NDOT reports that benefits of deploying hybrid communications include enhanced systemwide awareness and performance monitoring that enable improved highway maintenance operations and equipment maintenance. For more information, read the Nevada IMO case study or contact Rod Schilling of NDOT. The Pathfinder process can play a critical role in coordinating responses to major or special events that could be affected by weather, such as the August 21, 2017, total solar eclipse. Before the eclipse, the Wyoming Department of Transportation (WYDOT), NWS field offices, and WYDOT’s private sector meteorologist held regular calls to discuss potential increases in traffic, potential cloud cover that could affect visibility, and fire danger from large numbers of visitors driving in dry areas to view the eclipse. They also coordinated on media briefings. NWS, WYDOT, and Wyoming visitor websites and social media platforms provided travelers with eclipse information, and WYDOT displayed messages on its dynamic messaging system on fire restrictions in effect. WYDOT issued proactive messaging through its commercial vehicle operator portal on heavy traffic and limitations on oversized loads. As anticipated, traffic around Wyoming was up 68 percent on the day of the eclipse, with some routes experiencing more than a 100 percent increase. While traffic volume increases caused major backups around the State, WYDOT staff did not receive any complaints from the public. WYDOT believes the widespread and coordinated messaging before the eclipse had a positive impact and helped raise awareness about the expected increased traffic. For more information, read the Wyoming case study or contact Vince Garcia of WYDOT. “What is Pathfinder?” provides an overview of Pathfinder, including benefits and implementation steps. “Pathfinder: Implementation Recommendations” offers five key recommendations for putting Pathfinder into practice and addresses common concerns about the initiative. “What is IMO?” provides an overview of IMO, including benefits and lessons learned. “Weather-Savvy Roads Benefits and Costs” outlines benefits and costs that agencies might expect from deploying Pathfinder and IMO. For information and technical assistance on road weather management, contact Paul Pisano or Ray Murphy of FHWA. After Hurricane Maria struck Puerto Rico in September 2017, the island’s transportation infrastructure was decimated. The road network, especially in and around San Juan, was vital to getting relief materials distributed, but the Puerto Rico Highway and Transportation Authority (PRHTA) infrastructure monitoring system was blinded by the storm with only four of 55 closed-circuit television cameras in operation. PRHTA had to find another way to identify blocked roadways and get limited response services on the scene. PRHTA turned to a recently created data application that transformed how the agency was able to function, increase mobility, and reduce congestion. The Puerto Rico Department of Transportation and Public Works is developing an integrated traffic incident management (TIM) program as part of an intelligent transportation systems (ITS) project for the San Juan metropolitan area. The TIM program consists of a coordinated, multidisciplinary effort to detect, respond to, and clear traffic incidents so that traffic flow can be restored safely and quickly. In Puerto Rico, the Unified Emergency Response and Operation Service, better known by its Spanish acronym SEGURO, is a key part of the TIM effort. 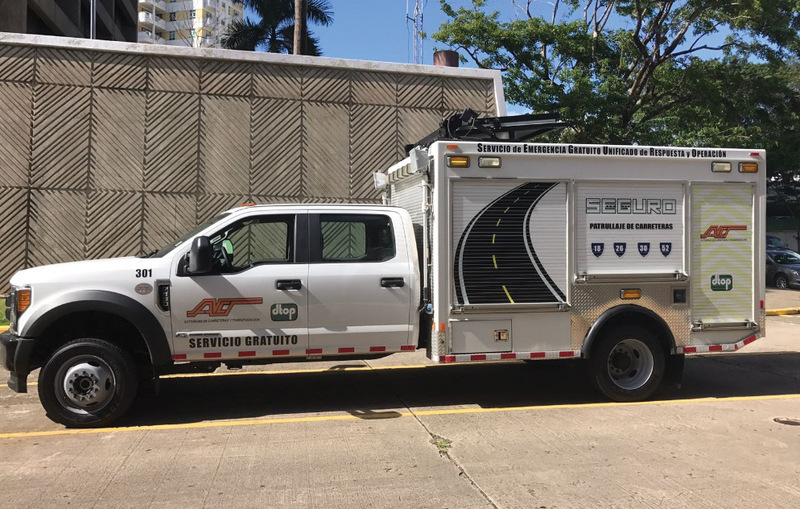 Established just months before Hurricane Maria, SEGURO provides roadside safety assistance on San Juan metropolitan area highways, including setting up cones and digital signage, changing tires, coordinating towing service through the Puerto Rico police, and coordinating emergency response with agencies such as the police, ambulance, and fire department through PRHTA’s Traffic Management Center (TMC). SEGURO responders are equipped with a two-way radio system, computer tablets, and a specially developed web application, the PRHTA Highway Service Patrols app. With the app, patrols record details of traffic incidents for later analysis by the TMC. By providing a bridge between SEGURO and the TMC, the app makes high-quality collection of TIM data possible, an important part of the Every Day Counts initiative on using data to improve TIM. When back-to-back hurricanes, Irma and Maria, slammed into Puerto Rico, the ITS network was heavily damaged. SEGURO units spent the day after Maria hit helping the transportation department remove road debris. As the SEGURO units started navigating the roads again, communication services were reestablished and SEGURO communicated hazards to the TMC. The app facilitated communication between the TMC and Emergency Operations Center, providing information used to reroute travelers and emergency responders. During Puerto Rico’s ongoing recovery, the app has gone through modifications to adjust to the need to improve the data collection analysis process, expand the coverage area, and keep tracking TIM performance measures. Use of the app is showing that managing traffic incidents and collecting data do not need to rely just on the SEGURO units’ traffic-monitoring cameras, which provide real-time video feeds to the TMC. As the app continues to evolve, better data will improve safety and reduce hazards for incident responders. In July 2018, the remnants of a tropical storm passed over the island, causing minor flooding on an expressway, and SEGURO again demonstrated how the service is working as the ears and eyes on the roadways. SEGURO reported the flooding in the app and the TMC, transportation department, public works, and toll roads were alerted. In a coordinated effort, crews were dispatched to quickly clean and clear the roadways. The Missouri Department of Transportation (MoDOT) used Accelerated Innovation Deployment Demonstration funds to demonstrate the use of intelligent compaction (IC) and infrared scanning (IR) to improve pavement construction quality control and efficiency. MoDOT applied the technologies on 13 projects to provide real-time detection of paving and compaction issues so crews could make any needed adjustments to the paving operation. Data from the projects show that using IC and IR improved construction quality, which can result in longer-lasting pavements and lower maintenance costs. MoDOT is using IC and IR on 14 more projects this year. The New Jersey Department of Transportation (NJDOT) used State Transportation Innovation Council Incentive funds to advance the use of mobile devices in the administration of grant programs for local agencies. In the past, NJDOT staff documented field inspections in paper reports. Hands-on training showed staff how to use mobile devices to record inspection findings, take photographs for reference, and file electronic reports. NJDOT reports that eliminating manual data collection improved efficiency, enabling staff to redirect time and effort to provide better oversight of local projects. Use of tablets for field reviews and ratings of local grant program applications is saving an estimated 50 percent on the time needed for paper reviews. The Constructors Association of Western Pennsylvania developed a free gaming app called Future Road Builders that lets users explore a virtual highway construction project to see the skills needed to be a highway construction apprentice. As users explore the tool, they receive links to apprenticeship applications on their mobile device. The idea is that if people are interested in highway construction but don’t know which trade would best suit them, the app can help them gain insight into several areas quickly. By May, the app had more than 5,000 downloads. Twenty-three percent of applicants chosen for apprenticeships in skilled highway crafts in western Pennsylvania in 2018 used the app to find their opportunity.